Yes, you read that right, you can do a tour of Napa Valley with kids, but of course, you have to do it responsibly. Thankfully, we have local writer Austin Gardner from Formative Adventures to give us the scoop on exploring Napa with kids, from the vineyards to the kid centric experiences. Who says you can’t go wine tasting with your little ones? In California’s most popular wine country, Napa and Sonoma Counties are great destinations for both parents and their kids. Not only is it surrounded by beautiful valleys and rolling hills, it also has several kid friendly wineries, fun playgrounds, and great activities for them. Don’t get me wrong, there are definitely wineries you should avoid bringing your kids to, since you might get a sneering look or two. But if you’ve always thought that wine tasting and watching your kid was mutually exclusive, think again. 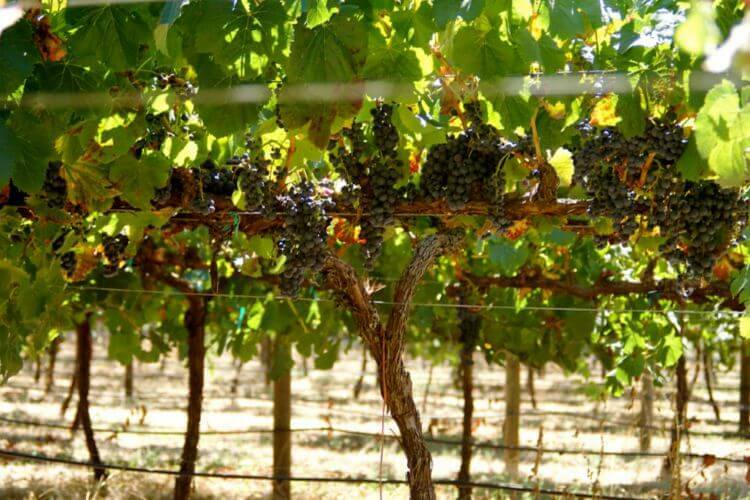 Napa and Sonoma Counties have some of the most renown wineries in the world. 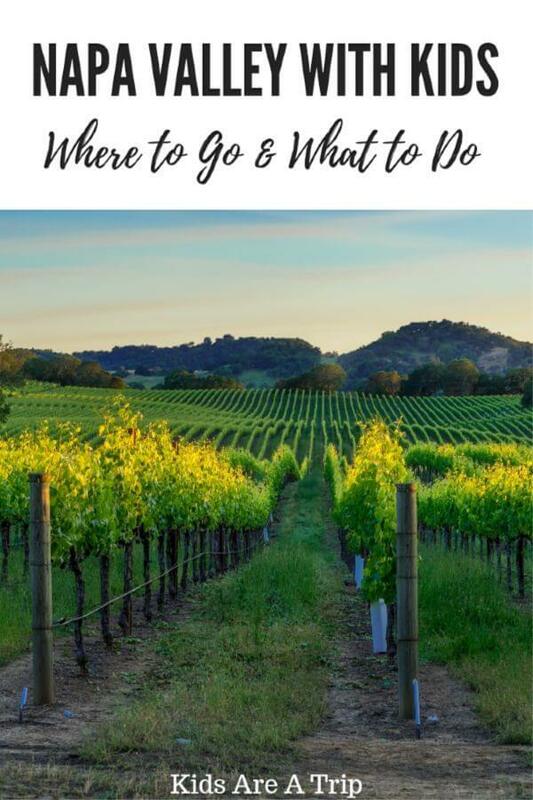 Although taking your young kids to wine country won’t be the same experience as a ladies trip, there are some great family friendly wineries and activities that you should put on your itinerary. Wineries are adapting with the culture to become more kid friendly, providing ample picnic tables, space to roam around, and providing little activities on site. 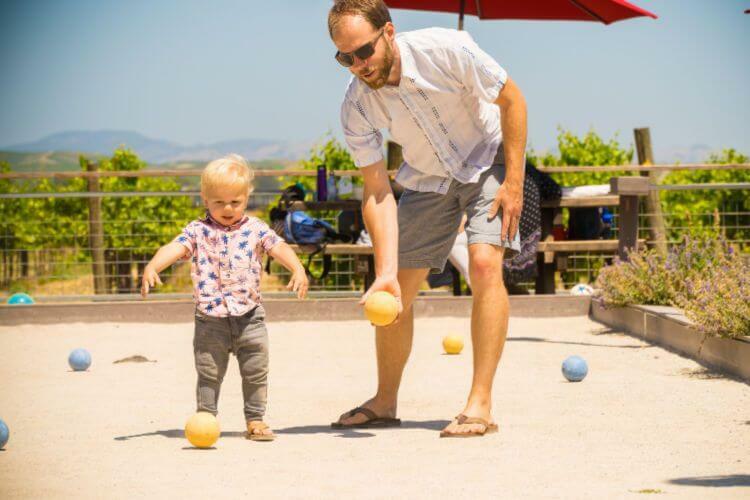 Among the things to do in Napa with kids are playing bocce ball, seeing farm animals, exploring a castle, and even going for an afternoon swim. 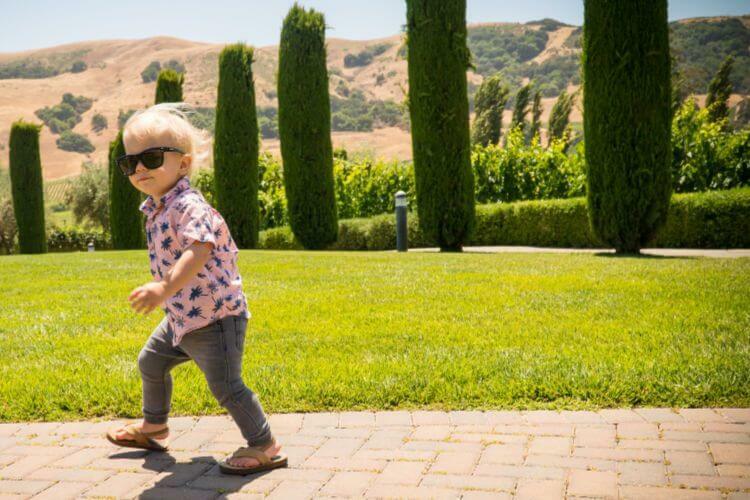 There seems to be a real shift in the last several years to favor more kid friendly wineries, due to the changing culture and increasing competition. Larson Family Winery sees their winery as a great niche opportunity to be family friendly, and providing activities for both parents and kids. Local newspaper The Press Democrat interviewed Ann Petersen, who is the executive director of Winegrowers of Dry Creek Valley, and noted “Everyone was saying that kids and families at wineries was really inevitable and that rather than fighting it, they were beginning to embrace it — even if it wasn’t actually being said in a public way.” This is great news as wineries become more of an afternoon family destination rather than a narrow, adults-only 45 minute wine tasting. relatively close to each other, since these recommended wineries are many, and pretty spread out. Plan on spending at least an hour or two at each winery, especially if you want to explore the grounds. Many of the wineries serve food on the premises if you’re looking for lunch, but you can also bring a picnic too. As always, be sure to pack a healthy variety of snacks (fruit, veggie sticks, crackers, cheese, etc.) and other entertainment to keep your kids happy while you’re enjoying the afternoon sun and a glass of old vine zinfandel. Most importantly, please be sure you’ve made a plan ahead of time for who’s driving and be sure to drink responsibly. 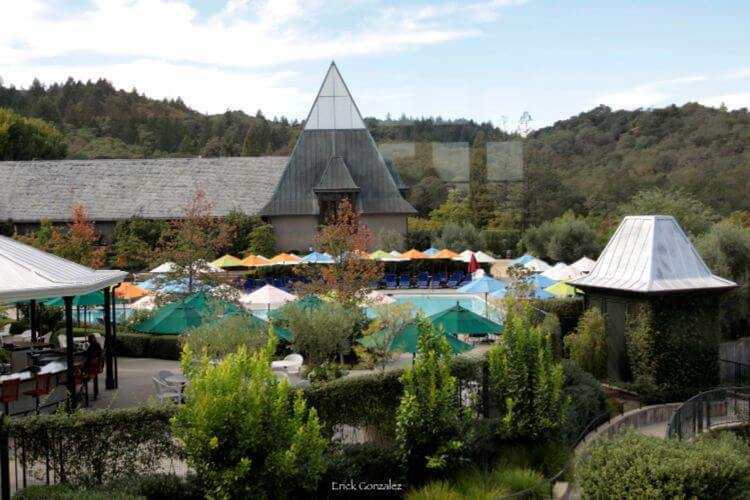 Here are some of the best family friendly wineries in Napa and Sonoma Counties. I’ve given each a star rating from 1 to 3 based on how well the winery accommodates children. This winery is perfect for a visit for wine tasting with the family. This winery has a nice back patio with several picnic tables, bocce ball court, and grassy area for a casual game of corn hole. For the kids, they have a nice large field to run around next to the vineyards. When it’s time to settle down, they provide coloring tables as well as sidewalk chalk. This give you, the parents ample time to sip your wine and watch your kids play. Make sure you say hi to the goats and sheep before you leave too! They have a livestock pen near the parking lot that the kids will enjoy, and maybe they’ll get a chance to feed them too. If you’re planning to visit around harvest season, check out their Harvest Hoedown which has horse-pulled wagon rides, pony rides, grape stomps for both kids and adults, and more. Be sure to check out the Larson Family Winery Events page for more. While this winery doesn’t cater to families as some others, it does have some nice grassy areas and picnic tables that is great for kids full of energy. It also offers nice sweeping views of the Sonoma valley. They serve brick-oven pizzas on most days and provide a great atmosphere with live music and great wine. This little guy loved exploring Viansa Winery. Taking a step to the North, this winery also has some great wine and is family friendly. They are all about biodynamics and green farming practices. They have sheep as well as a small herd of Scottish Highlander cattle to see. There’s also a biodynamic tram for touring the property. 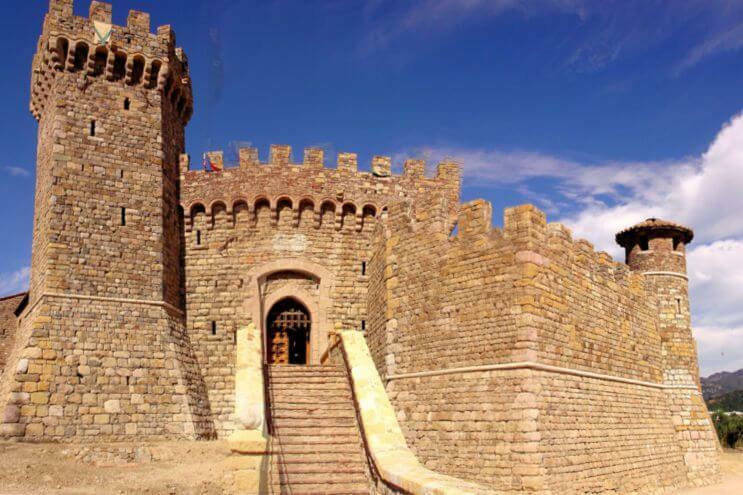 This winery is probably one of the most impressive in the area due to the authenticItalian-inspired castle. The castle has 107 rooms and has 8 levels throughout, including rooms like a chapel, torture chamber, a massive barrel cellar, a moat and drawbridge. This castle would be most appreciated by school-aged kids, however young kids would have fun too. They charge $20 for children and offer them grape juice and coloring books during your visit. You can get a tour of the castle for a charge too. They do not allow any strollers, so leave those at home. This winery is unique because they have an aerial tram that takes you up to the winery. It’s a really fun ride and you get great views of the surrounding hills. Be sure to reserve in advance. It will set you back $35+ per adult and $15 per child ages 3-20. This is a fantastic winery that has a lot of fun art sculptures and space to run around. Marijke’s Grove, which is a 4-acre sculpture garden, is a fun way to spend an hour strolling through the windy footpaths and discovering new art sculptures. Note that it’s only open on weekends. Picnics are available to the public, but are somewhat limited since they reserve many of the tables for wine club members. Also be sure to check out their events calendar since they have many nights throughout the summer where they host live music and food trucks. around the farm that would be fun for the kids to see. There are bocce ball courts on the property as well as a secret garden to explore…if you can find it. Nestled alongside Dry Creek is Truett Hurst Winery. They have plenty of space for picnics, just note that the red chairs by the creek are reserved for members on the weekends. This is a working farm, so you’ll see goats, chickens and sheep. They also have a salmon habitat restoration area alongside the creek, so be mindful of that with your kids. For a more resort-style wine tasting experience, check out this popular winery. They have great wines, but also have a beautiful swimming pool perfect for the kids (and adults) to splash around and get their energy out. It’s a little more pricey, but could be worth it. As of 2018, it’s $40 for adults (does not include a tasting) and $20 for kids ages 3 to 14. Make sure to get a reservation online ahead of time. They also have a fun teepee on site stocked with board games for school-aged kids to entertain themselves. After a winery or two, it’s nice to break up the day with some other activities to have the kids let out some energy. 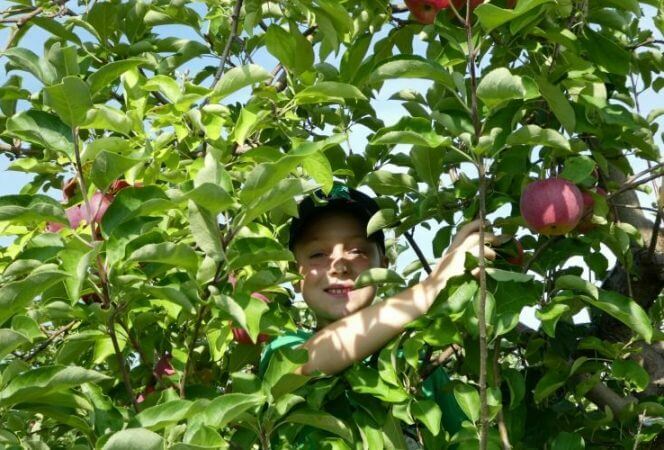 Depending on which wineries you visit and their location, there are several activities that the kids will enjoy. Between discovery museums, railroads, and playgrounds, there are plenty of things to do in Napa and Sonoma Counties with kids. This a fun discovery museum full of experiential exhibits. Tickets are $12 per person ages 1 and up. The activities are great for all ages featuring science exhibits, art stations, sensory exhibits, and an outdoor garden. If you’ve got a little one that loves trains, this is a must visit. Think of it like a 10-acre elaborate table top railroad. There are trains chugging around, a mini-petting zoo, and several small amusement park rides throughout. Admission is free, but to go on any ride, it’s $7.50 per person per ride (ages 1 and up). You can’t beat free, and this Napa playground fits the bill perfectly. This castle-themed playground has plenty of structures to crawl on and slides to go down. There’s even some animal structures and a wooden car. If you’re closer to Sonoma, be sure to make a stroll through Sonoma Plaza. Here you’ll findsome great eateries, ice cream shops, and the Sonoma Cheese Factory, with plenty of freesamples. While you make your way to the center of the plaza, you’ll run straight into the playground and nearby pond. You may catch your fellow wine tasters here, letting their kids loose on the swings. Austin and his wife are proud parents of two young and energetic boys. Originally from California, he now lives in beautiful Colorado with his family. Austin grew up with a love for travel and adventure, having been to several countries starting from a young age. One of his most memorable trips as a 10 year old was spent living with a local family in Guatemala for a month and attending a Spanish language school. Inspired by the formative experiences that shaped him through these trips, he saw the importance of giving his kids the same opportunities. He created FormativeAdventures.com to capture the stories of parents giving their kids these types of experiences, hoping to inspire and equip more moms and dads to do the same. We hope to see you around and hear your family stories soon! 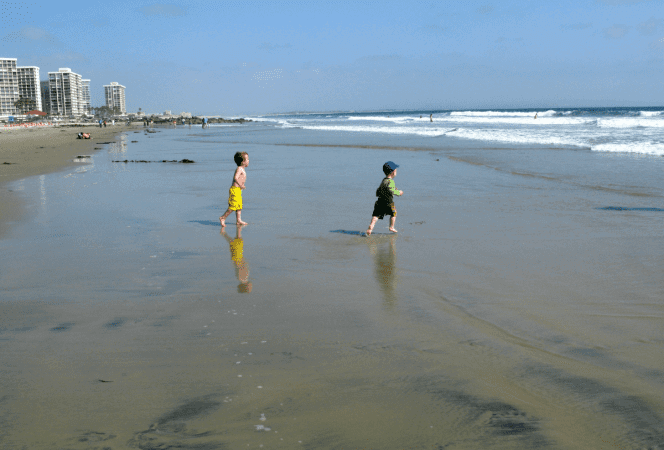 Don’t miss our other California posts! 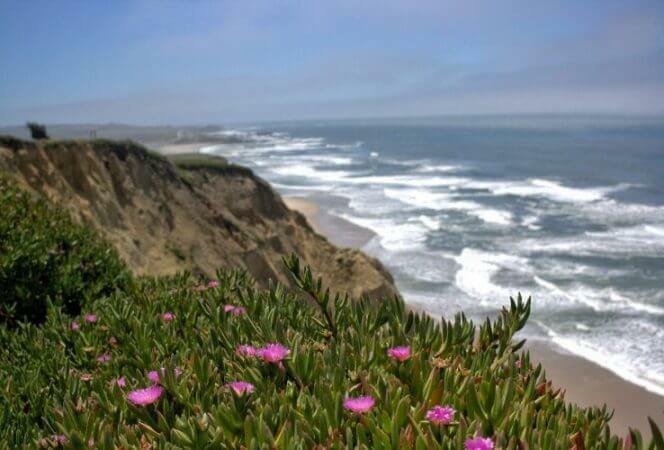 We have San Francisco day trips, San Diego, Oakland, and even a California road trip to help you plan!